This edition features the CADA/West Annual Conference; celebrate International Dance Day; reminder: Membership Renewal; our monthly dance citizenship challenge & dance and the 2015 Federal Election. We are pleased to announce the program for this year's CADA/West Annual Conference taking place on May 10, 2:30–5:30pm @ the downtown branch of the Vancouver Public Library. The conference features programming for emerging, mid-career and senior artists who are living and working in dance. Focussing on personal administration, mentorship/collaboration, and fundraising, we’ll be utilizing workshop formats, speed-dating and a panel discussion to keep the conference fresh and informative. For Members residing outside of Vancouver, please watch for a full report. 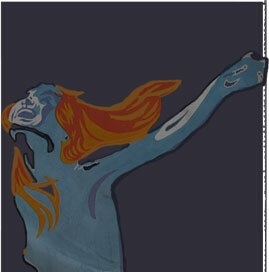 International Dance Day was introduced in 1982 by UNESCO and is celebrated on April 29 every year. These celebrations are to recognize the contributions of dance/dancers to our societies, to raise the status of the form within official establishments and to bring people together with the universal language of dance. 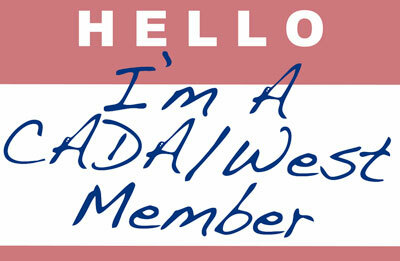 Visit our website to learn more about renewing your CADA/West membership, as well as membership benefits. With the 2015 federal election on the minds of every MP, this International Dance Day remind your MP that your vote is directly-related to arts support. The major parties have already started thinking about election platforms for next year. Help ensure that dance is not forgotten by sending this email message. Did you know that April 29th is International Dance Day? Thousands of Canadians will be celebrating dance by participating in events and attending performances across the country. I hope you consider attending one of these events. On this special day, I want to remind you that your party’s support for the arts sector, dance specifically, affects how I vote. The arts and culture are essential to the vitality of Canadian society. Increased support for the Canada Council and programs at the Department of Canadian Heritage, Industry Canada, and the Department of Foreign Affairs are necessary to keep the arts sector healthy. I work in dance and I vote with dance in mind. I will be in touch next year during the election campaign to ask you specific questions about your arts platform. On Wednesday April 16th, representatives of the Performing Arts Alliance, including Kate Cornell from the Canadian Dance Assembly, met with Stéphane Dion of the Liberal Party. Mr. Dion, the Heritage and Culture Critic for the Liberals, is interested in supporting the arts sector now and next year in the Liberals’ election platform. The productive conversation focused on federal funding for the arts and the government’s plans for Canada’s 150th anniversary in 2017 (and the apparent lack of arts activities). These types of meetings are essential for the CDA to make sure dance is at the table with opera, theatre, orchestras and presenters. The Performing Arts Alliance intends to meet with Pierre Nantel, Heritage and Culture Critic with the NDP, and Minister Shelley Glover of the Conservative Party.